Top 10 Things to Cook on Evo! 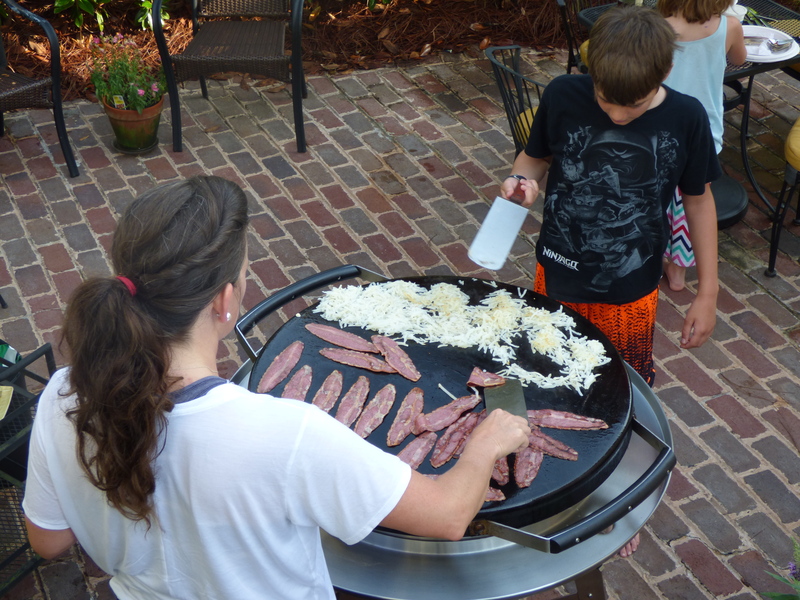 People who aren’t familiar with an EVO flat top grill will often ask me, “What can you cook on it?”. People who are ask , “What’s your favorite thing to cook ?” This post addresses both of these common questions. Because while you can cook pretty much everything on an EVO, some things I do just enjoy making more. For instance while it is possible to roast a whole turkey on my EVO when my power is out and company is headed over (true sad story), that isn’t the most common use for mine! So here it is, my Top 10 Things to Cook on EVO grills. Recipes in each category will be highlighted. There isn’t a cut of steak that hasn’t turned out perfectly on my EVO. 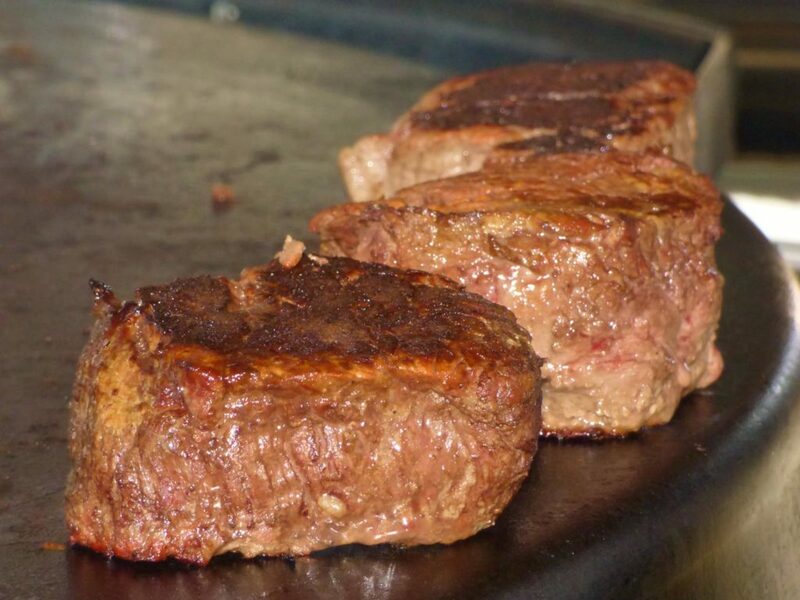 No flare ups and with steakhouse style searing. I only buy really good beef and don’t cook it that often. So when I do, I always use my EVO. Because I know I can count on it to be juicy and perfectly cooked. 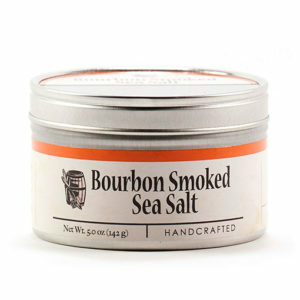 I have a great recipe for a flavorful steak rub from Mark Stark which is fantastic on steaks and other grilled meats. 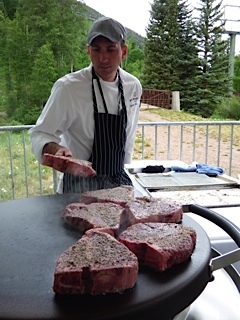 When you want to impress or indulge, steak gets the job done. When you need them done perfect, I trust EVO. 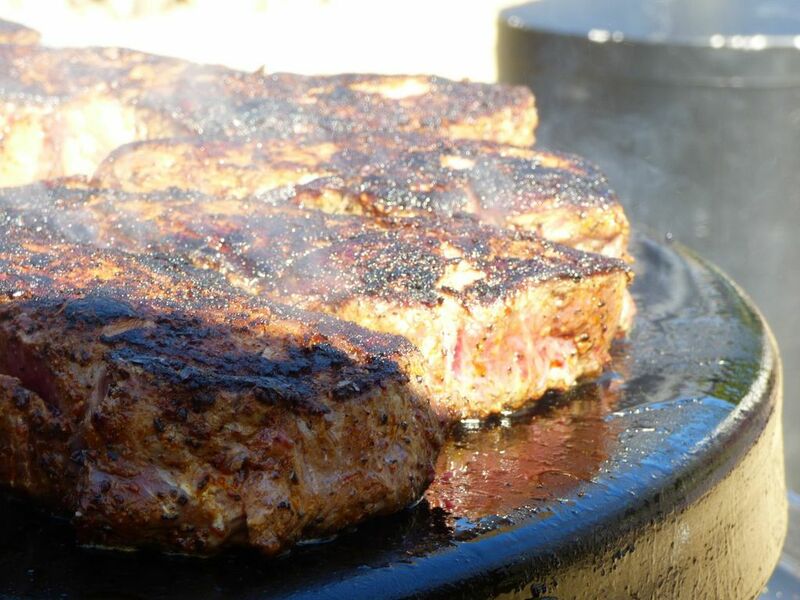 Steakhouse style Crusted Prime Ribeye on the EVO is one of our top 10 recipes. Because the EVO is a 650 degree searing machine, it of course sears up rare tuna in seconds. 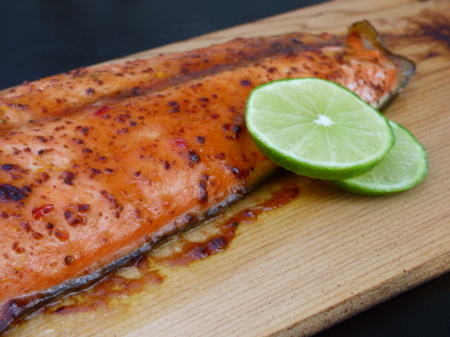 But it also makes Cedar Plank Salmon that is so flavorful and moist, but is so easy my kid can make it. And there is the bonus that my house doesn’t smell like fish for days afterwards. 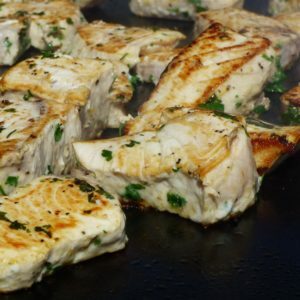 Another benefit of using a plank to cook fish – you barely even clean the grill afterward! Simply wipe it down and eat. Serve right off the plank. Fish tacos, no problem. Seared or Blackened. Sautéed or Smoked. Planked or Stuffed. Fish just loves EVO. Smoky Salmon on Cedar. No fishy smell or clean up. Perfect! 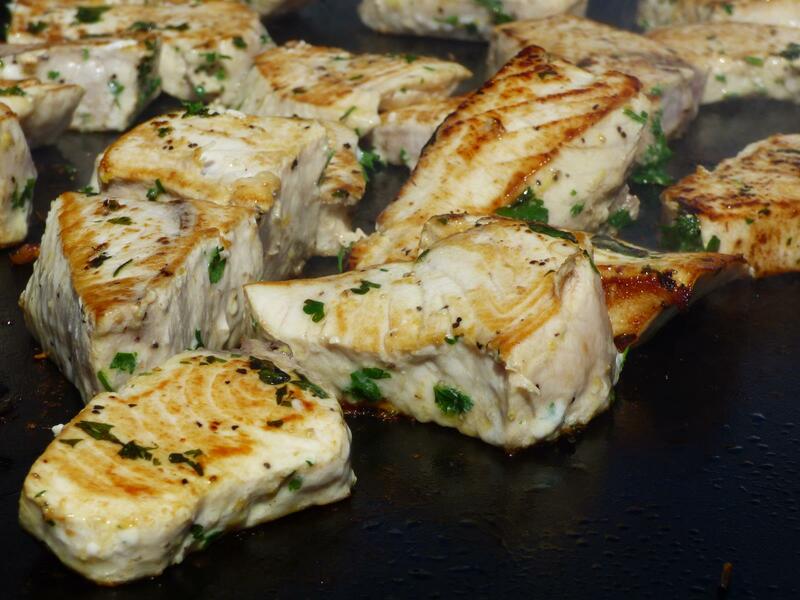 Swordfish in quick marinade seared on the EVO grill. It makes a healthy easy dinner. 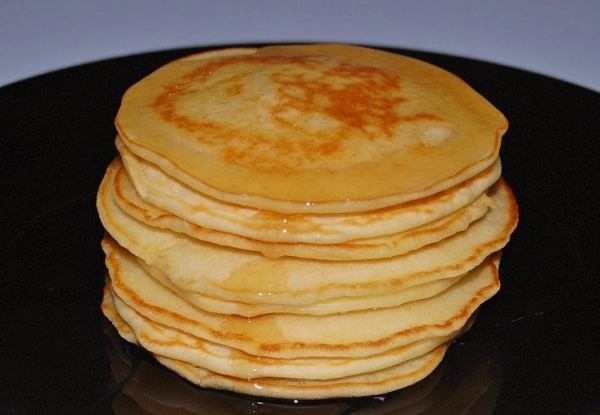 Recipe is at the bottom of post. 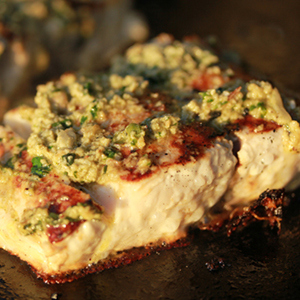 Mahi Mahi with a Cilantro Basil Pesto on the EVO makes the perfect “company’s coming “dish. 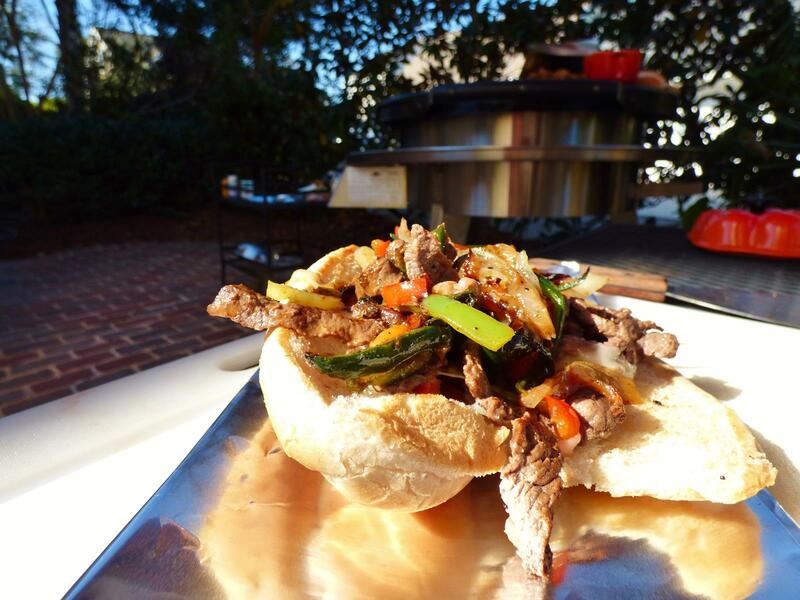 This great recipe is from Chef Adam of Evo America. Yes, I’m aware that oysters aren’t fish but shellfish. But I just love them gently grilled and served off on the evo so much. I had to sneak them in. This delicious recipe for Creole Oysters with Tomato Jam is from Mark Steuer of The Carriage House in Chicago. But oysters just lightly grilled and then topped with a simple garlic herb butter is also fantastic- no recipe required. My daughters favorite thing to cook on the EVO is easily breakfast. She loves pancakes to begin with , but PANCAKES OUTSIDE! Add to that EVO’s ability to crank out a breakfast for the whole family faster than driving to the Waffle House. 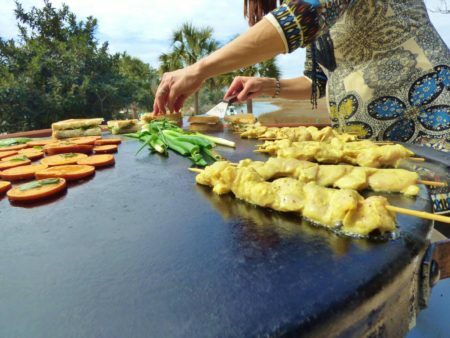 You’ll be cooking outdoors in your pajamas more than you’d like to admit. 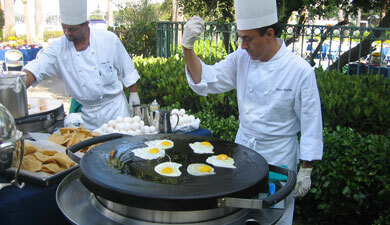 Cook eggs like a 5 star chef with your evo flat top grill. Bacon, Hashbrowns, and scrambled eggs can all be cooked at once. 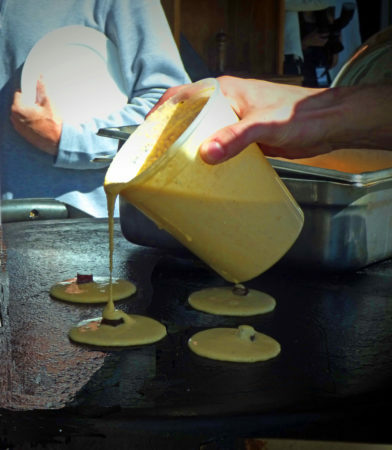 Scattered, Smothered, Peppered or Topped is up to you of course. 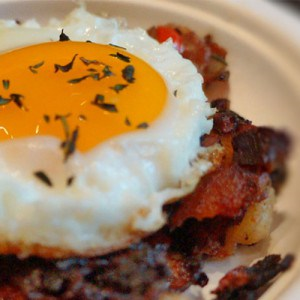 Chef Adam of Evo America makes a great Eggs with Roast Beef Hash. Lots of his great recipes on the evo website! I spent some time living outside of Philadelphia as a child. My love for Italian Hoagies, Great Pizza, and Cheesesteaks was born. And now it is hard to find a good cheesesteak anywhere else. So come football season I love to make a big batch of Cheesesteaks on the EVO. Plus I get to control the quality of the meat I’m using. I can also toast the buns and tater tots right along side and offer melted cheese alongside for everyone to drizzle their own. Hungry yet? 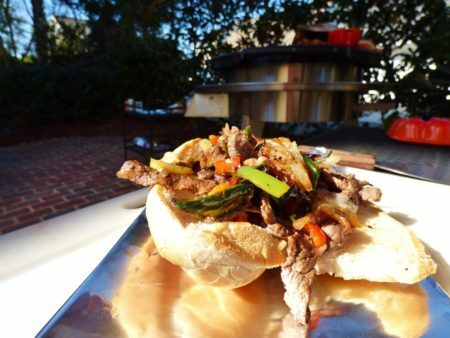 Cheesesteaks for a crowd cook up perfectly on evo. 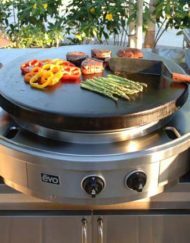 Cristina Ferrare often uses her evo grill on her Hallmark Home and Family show. She ahs showcased its ability to make a mean pizza more than once. Pizza is after all a flat bread with toppings right? Here is a link to her wonderful recipe for Grilled Pizza with Goat Cheese. 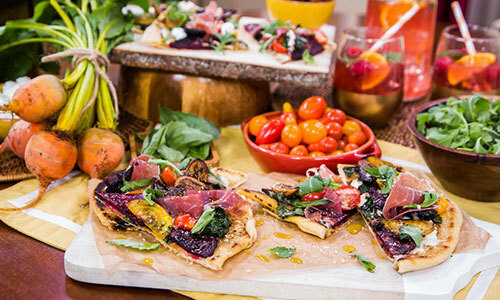 You can even watch her grill up a beet and prosciutto pizza using the EVO 30″ Wheeled Cart on video using this link. But you should also explore other easy flatbreads to grill alongside your meats or vegetables. Because really warm bread and pizza – who doesn’t love it? Cristina Ferrara made pizza with beets and goat cheese on her evo. Hot fresh bread in minutes with evo. 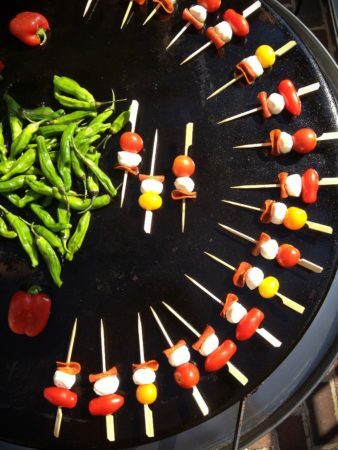 Food served on a stick is just more fun. I can’t tell you why, its just a universal truth ( see the fair menu for verification). I love how I can load up my EVO with a variety of fun food on a stick and serve directly off of it. People truly gather round. Whether its fancy Polenta with Pork Belly, juicy Saffron Chicken, or Caprese Diem kabobs. They all taste better served on a stick. 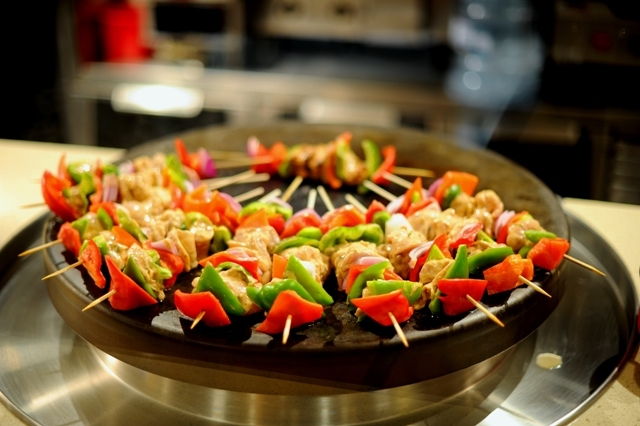 Grilled & Colorful Kebabs on the EVO make for fun easy entertaining. Caprase Diem Kabobs on evo heat up in a minute. Entertaining is simple with quick, healthy, and delicious with these chicken kabobs. 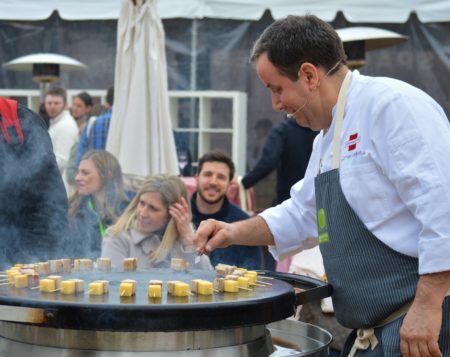 Chef Quagliata of New York’s Union Square Cafe grilled up polenta and pork belly skewers on evo for Charleston Wine and Food Festival. Tacos. 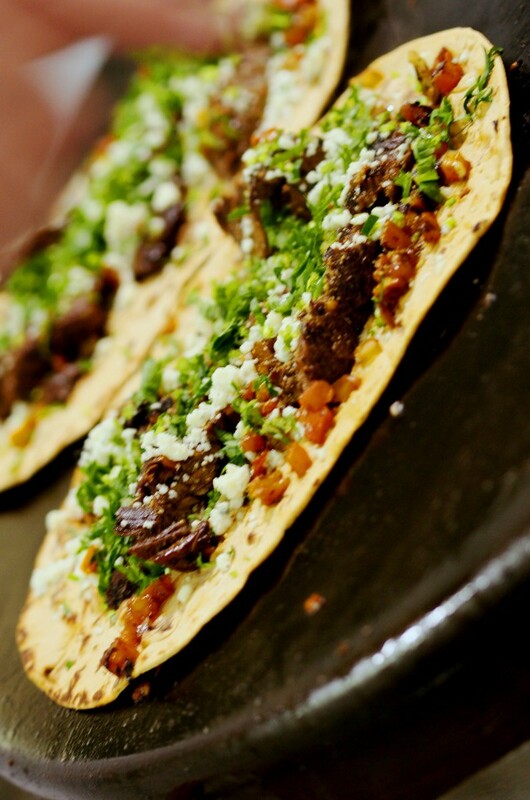 Almost everyone loves some variety of the taco food group. 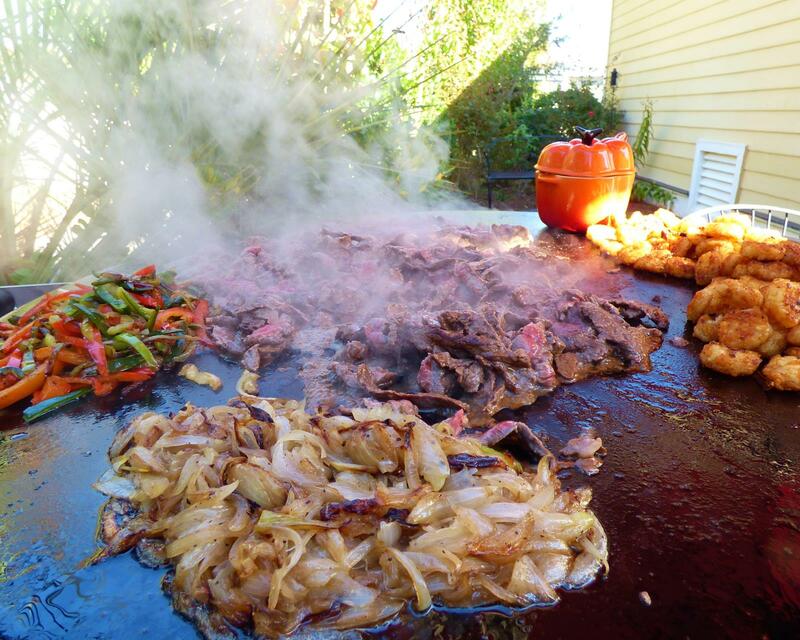 And being able to make or heat the tortillas right on the EVO alongside the meat and vegetables your searing? That makes it one of our top 10 things to cook on EVO. Section off the grill onto third with the tortillas around the outer edge and you can make beef, shrimp, and veggie tacos all at once. Your popularity as a hostess will increase dangerously fast! 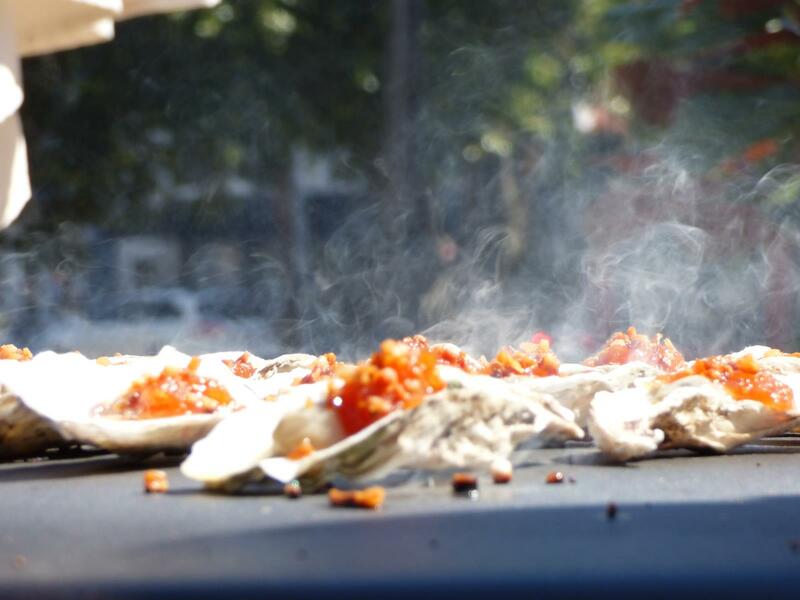 Grilled Tortillas are filled and served straight off the EVO. make your own tortillas right on the grill. 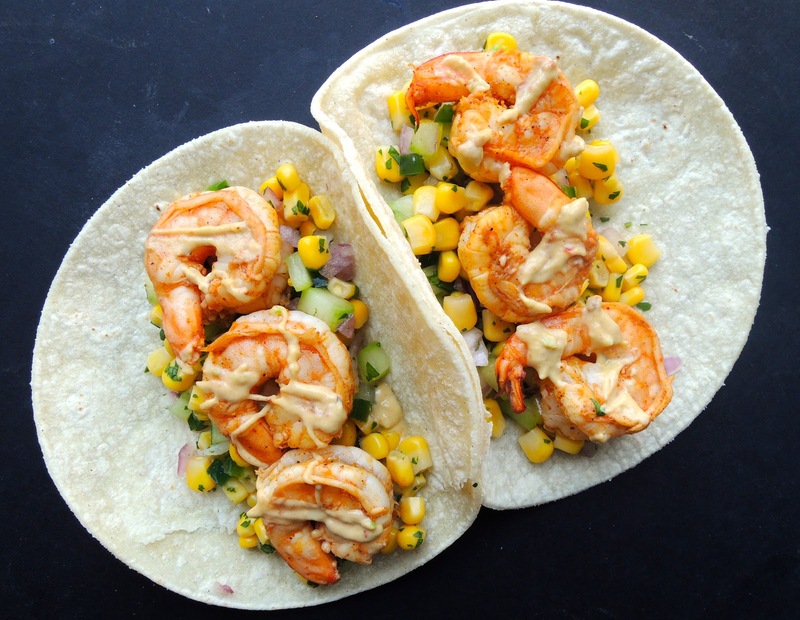 Shrimp Tacos are a quick healthy party idea. 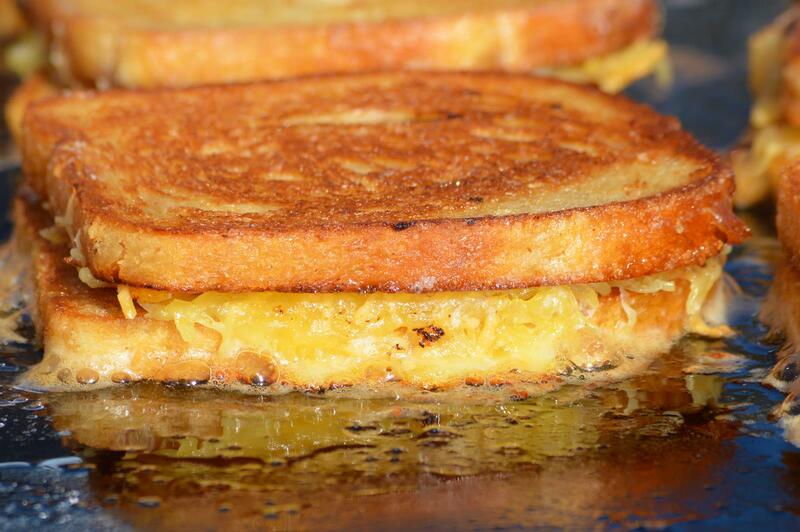 Maybe you consider grilled cheese a bit pedestrian. In that case you might move on the number 9. But perhaps you should pause. Have you explored the gourmet possibilities of this classic sandwich? With great bread, great cheese, and a dash of creativity this comforting classic easily elevates and please most palates. 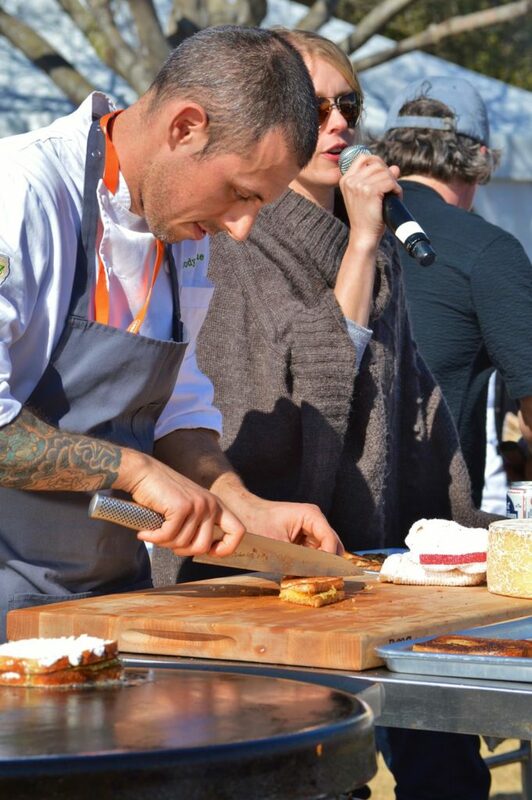 We had 6 top chefs compete in our grilled cheese throwdown at the Charleston Wine and Food Festival ( you should go). The results were a hit with everyone. Maybe next time you entertain you might consider a “build your own grilled cheese” bar? You don’t even have to cook at your own party then. Easy on the budget as well. For great cheese recommendations check out Liz Thorpes Cheese Chronicles book or her website. She was our judge for the Charleston Wine and Food throwdown. Trust me, the lady knows her fromage. The winning grilled cheese from our grilled cheese throwdown at Charleston Wine and Food. 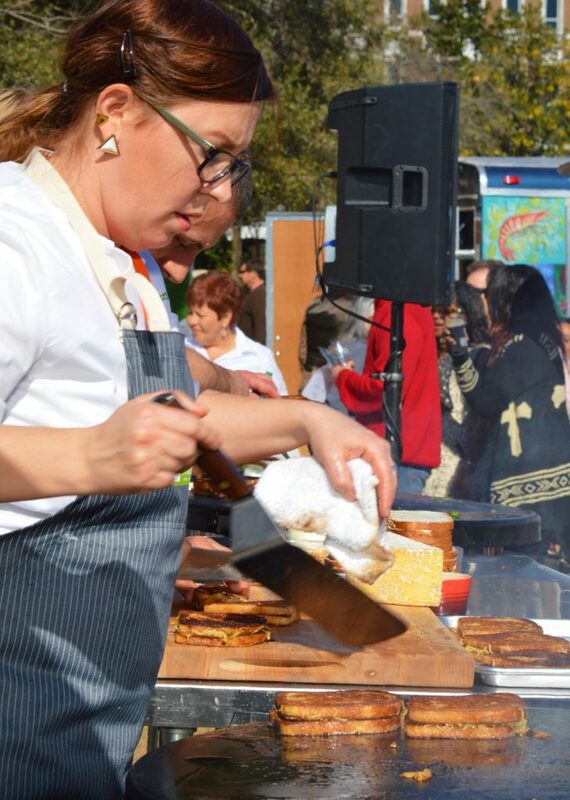 Chef Annie Petry of Decca at work on her grilled cheese masterpiece. She was the crowd favorite in our showdown ( and an immediate evo fan). 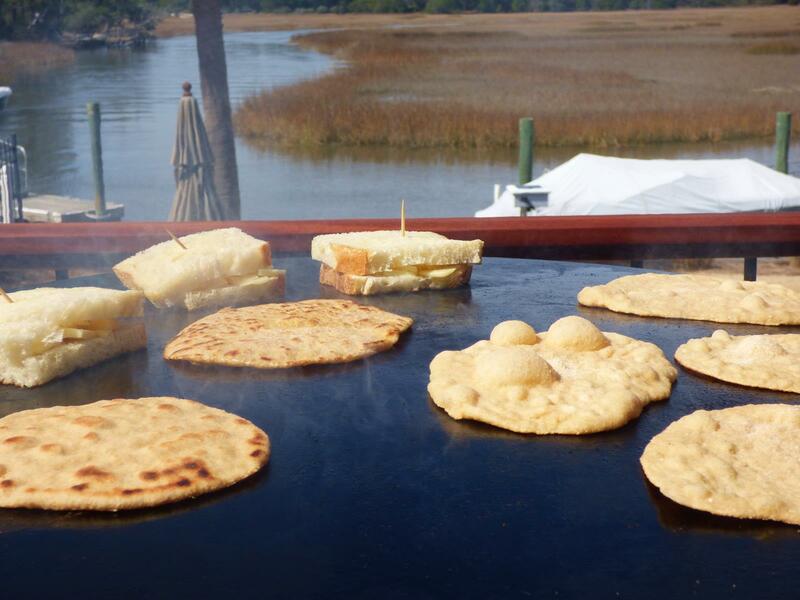 Liz Thorpe moderated the heated grilled cheese battle at Charleston wine and Food Festival. 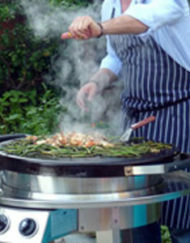 When Chef Katie Button came and made Paella for me and fifty other lucky people I was an instant fan. 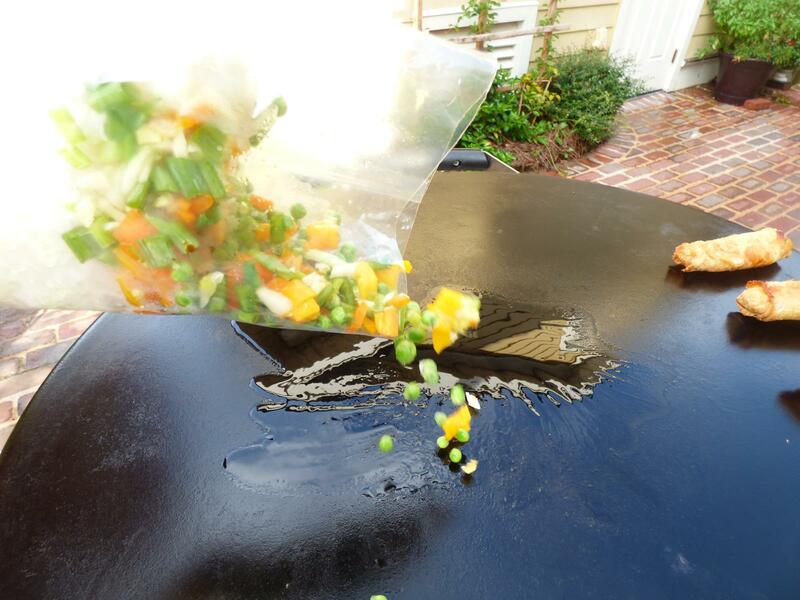 I went home and immediately bought a paella pan fr my EVO. 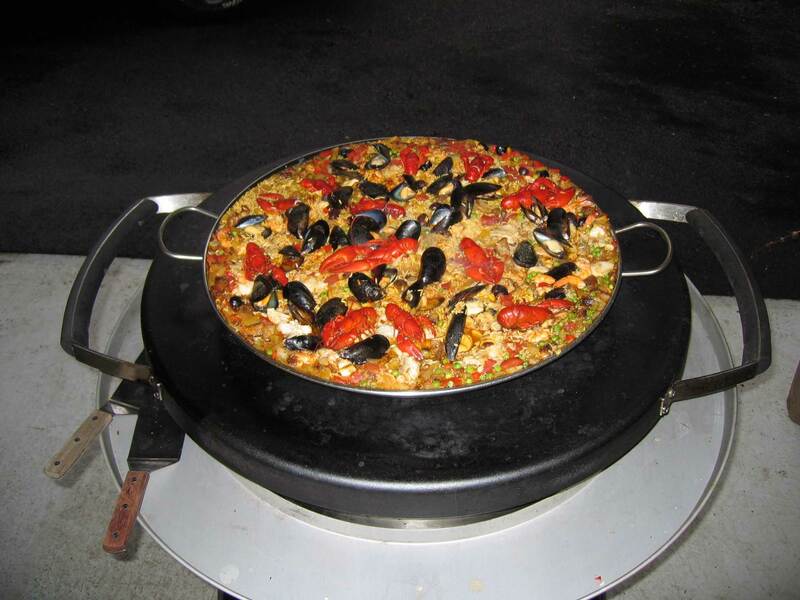 Did you know paella is traditionally a dish made over the bbq at home? Eaten communally from the pan it really is the PERFECT PARTY FOOD. 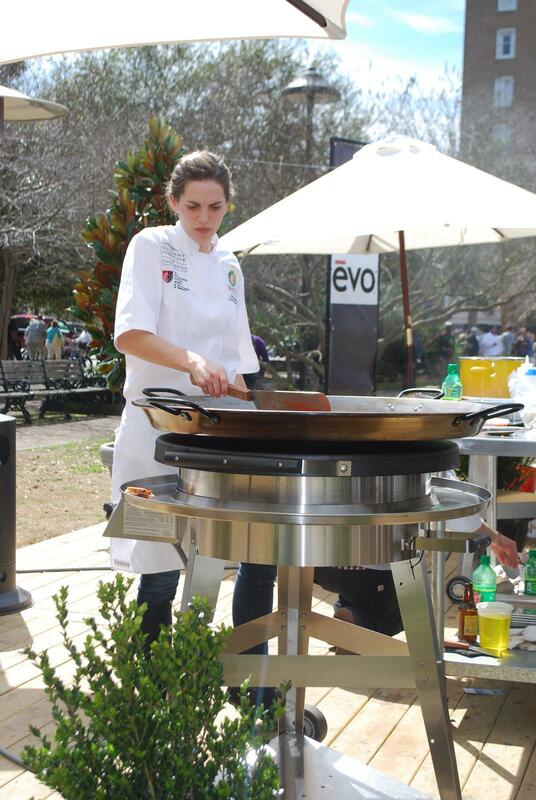 Chef Katie Button of Curate making paella on the evo. Chef Button is currently honored as one Food and Wine’s Best New Chefs. If you get a chance to dine at CURATE’ don’t miss it. It’s just perfect. 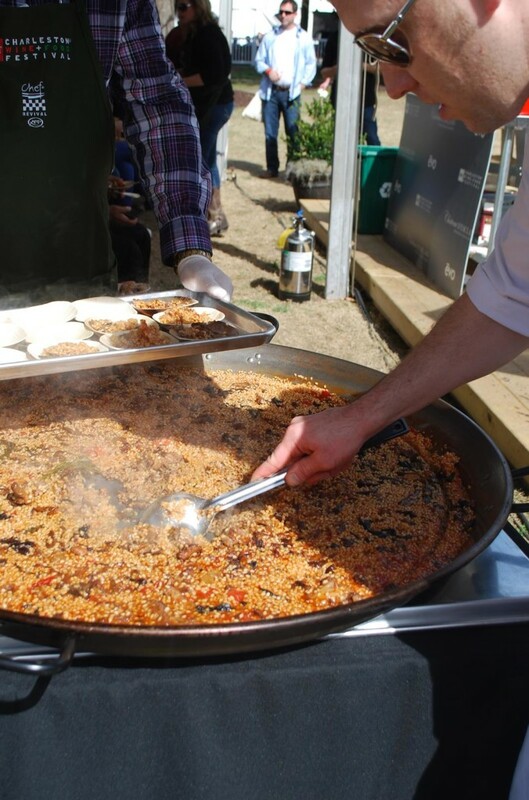 The Finished Paella of Chef Button ready to gather around and enjoy. Seafood Paella on the EVO is always a showstopper when entertaining. I just love all types of Asian cuisine. So of course a stir fry is on my top ten things to cook on EVO. I make Kung Pao Chicken, Fried rice, Pad Thai noodles, Szechuan Eggplant, Sesame Chicken, Caramel Pork, and so much more. Hibachi at Home is always fun. 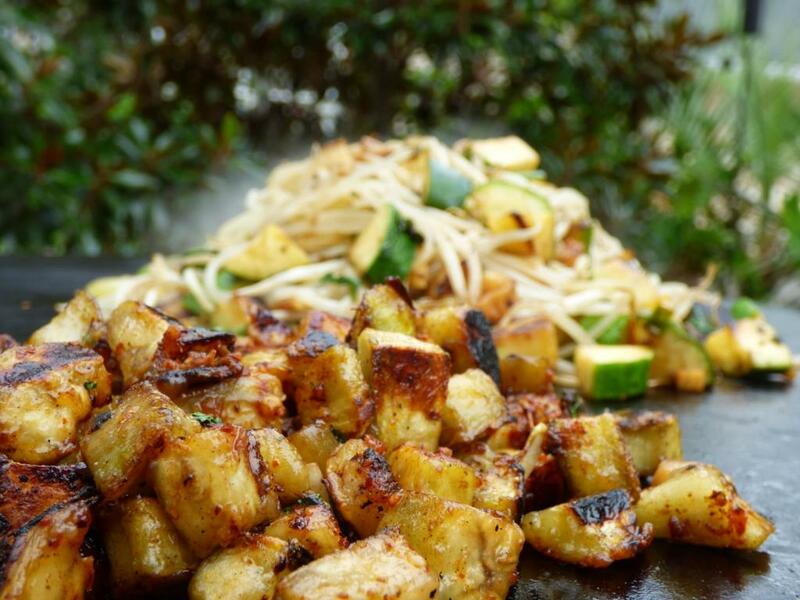 Spicy Eggplant and veggie stir fry on the evo brimgs the Hibachi restaurant to your patio. Mix all ingredients together in shallow bowl and place swordfish steaks into bowl. 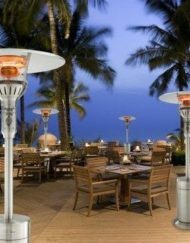 Heat Evo Grill to medium high. Sear fish 3 minutes then flip and sear other side an additional 3 minutes. Remove and let rest until ready to serve. I top mine with a fresh lemon slice and a drizzle of good olive oil. 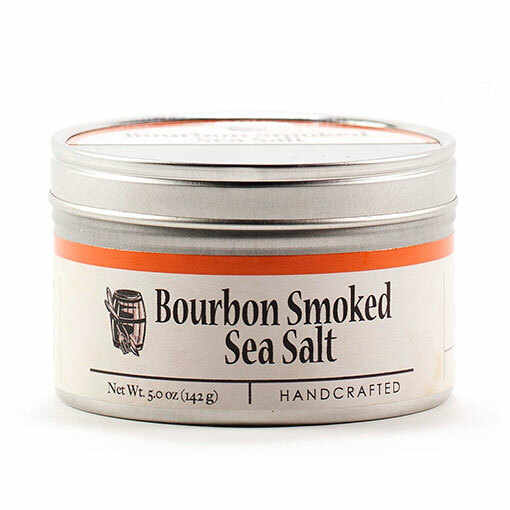 If you’d like to order some really delicious smoked salt I recommend Bourbon Barrel Salts. They are unique and add a real depth of flavor. I love all their products really. Check them out. I hope you have enjoyed discovering the favorite things that I cook on my EVO. Do you have any favorites of your own? I’d really love to hear about them! With the endless possibilities of what to make, I’m always looking for new ideas and recipes. Let me know what you love to make on your EVO. Or maybe you’d like a particular recipe. Just drop me a note in the comments section below. I look forward to hearing from you. PS If you ever do need to roast a whole turkey on your EVO, here’s how.